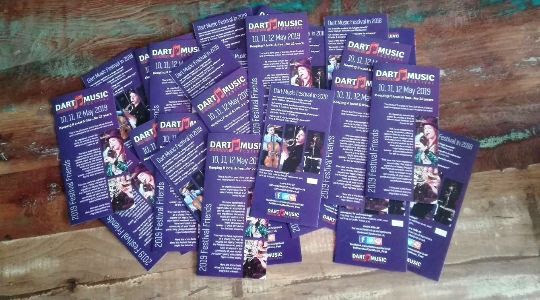 It’s hard to believe that as I write this it is around twelve weeks until the 22nd Dart Music Festival. This year’s event is being held on 10th – 12th May so put the date in your diary and start praying for sunshine. We are so grateful for your support of this fantastic event in the past and really hope that we can count on you again for 2019. This year’s sponsorship leaflets will be coming out towards the end of the month with the option to sign up and pay online, if you prefer. We will be repeating our popular ‘Sponsor’s Party’ and the venue is already booked for Friday, 3rd May – it’s a chance for our supporters to join us for complimentary canapes and drinks, meet the Music Festival Team and hear about the 2019 Festival. We really hope that you will be able to join us. 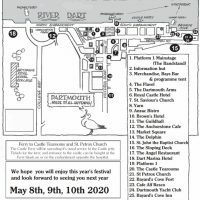 Keep an eye out for the DMF 2019 leaflet dropping through your letterbox in the next few weeks and if you have any questions go straight to our website page.